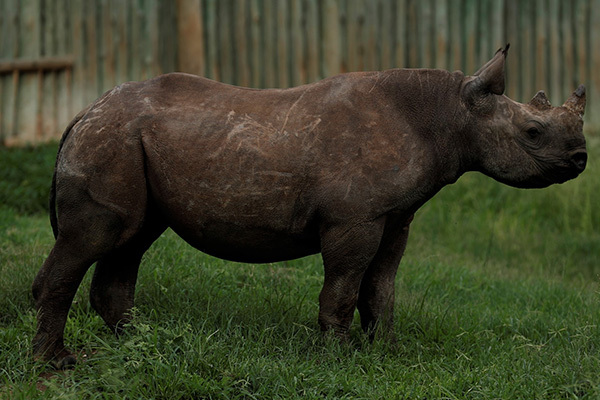 Baby Rhino Phoebe at Baby Rhino Rescue | Adopt and Donate Now! At 10:30 on the morning of 21st September 2017, World Rhino Day, CFW Rhino Sanctuary received a call about an attempted poaching in the Kruger National Park. The mother rhino was still alive, with her two calves. Unfortunately, the mother and one calf were severely shot in the legs and their injuries were severe. The heartbreaking decision was made to euthanize them. This left the younger calf all alone. The calf, now named Phoebe, was taken to the CFW Rhino Sanctuary. She was 18 months old, and in good condition. The following day, she was eating and drinking water from a trough, so her blindfold came off. Phoebe, being a wise rhino, understood quickly she was in good hands, and started to accept all the supplemental foods from the staff. She was allowed access to the big boma outside, which she immediately began exploring. 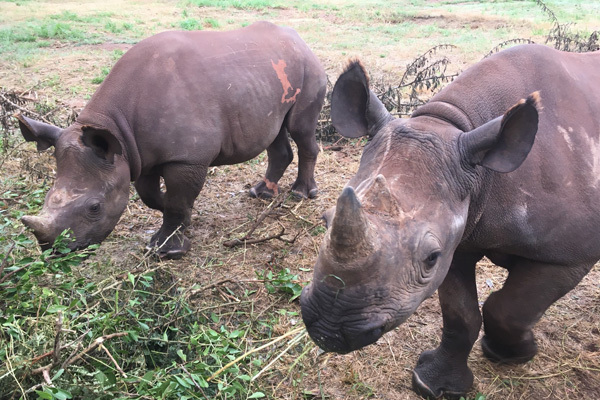 In November 2017, a one year old male black rhino calf arrived at Care for Wild. Phoebe was introduced to the young male, Badger. Initially shy, Badger soon became comfortable around Phoebe. Within a week, they were inseparable! It seems that Phoebe, who is a little older, takes great pride in caring for Badger. They do everything together: eat, walk, sleep, trot for milk. 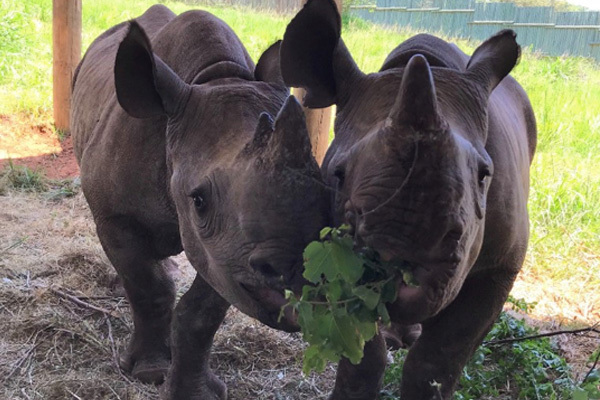 It is exciting to see these two critically endangered rhinos sharing such a special bond.